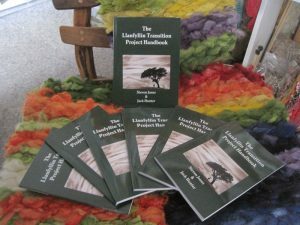 We have a limited number of preview copies of our Llanfyllin Transition Project Handbook available for just £3 each. Come along to our climate change event at Llanfyllin High School, this Thursday at 7pm to get one! The aim of the handbook is to inspire positive community change, no matter how small or how large, to help tackle the challenge of Climate Change using ideas from permaculture, the transition movement and deep ecology. – Maddy Harland, editor of Permaculture Magazine and a co-founder of Permanent Publications. – Mark A. Schroll, PhD,author of Transpersonal Ecosophy, Vol. 1: Theory, Methods, and Clinical Assessments.